The Local Scoop debuted in the Northern Neck and Middle Peninsula of Virginia in Spring 2011. Over the years it has become the region's most popular and comprehensive lifestyle magazine and business directory. The biannual issues are the preferred advertising format for locally owned and independent businesses, providing multiple channels to reach consumers and visitors including print and digital editions, a mobile-friendly, responsive website, and robust social media outlets. 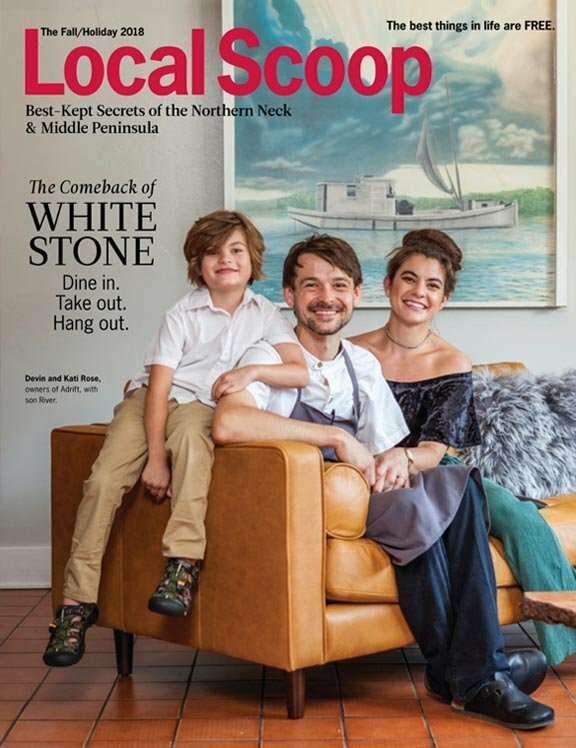 The inaugural issue of The Local Scoop Greater Williamsburg edition hit stands and mailboxes in early November 2015 to an enthusiastic reception. Four quarterly Greater Williamsburg issues will be printed, distributed and mailed in 2019. View our magazine Distribution list for the Greater Williamsburg area here. Why advertise in The Local Scoop? We reach visitors and residents through 300+ select locations in the Northern Neck and Middle Peninsula. And now, our new edition just for Williamsburg will be mailed to more than 10,000 area households and distributed through visitor centers, fine retail and restaurant establishments, financial institutions and more. FREE listing in The Local Scoop Business Directory with your paid display ad. FREE listing in LocalScoopMagazine.com Business Directory. FREE professional magazine display ad design. Click here to download Northern Neck Middle Peninsula artwork specifications. 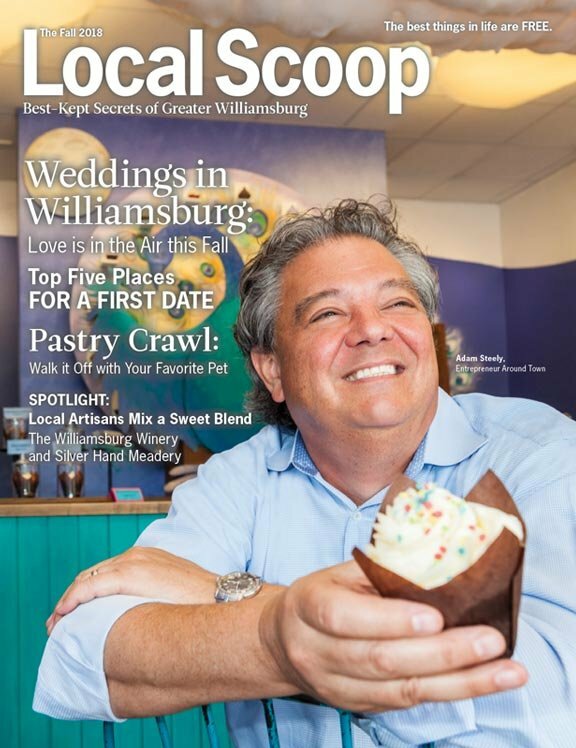 The Williamsburg Fall 2018 issue of The Local Scoop is on stands now. Click here to download Williamsburg artwork specifications.